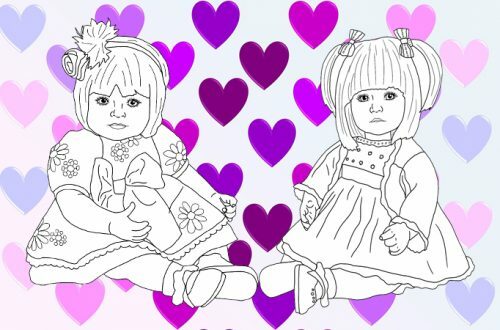 Las Blanditas are a range of cuddly toddler dolls by Paola Reina. I looked up the meaning of Las Blandita in Spanish and it means ‘The squishies’ which is lovely and describes these dolls perfectly! 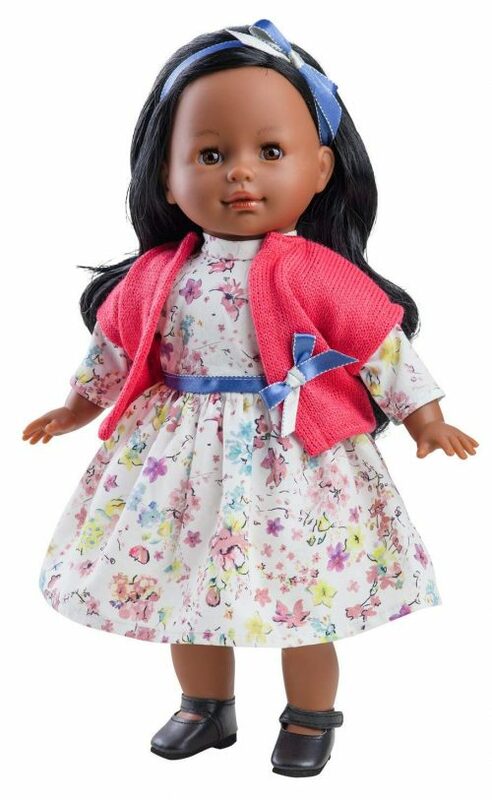 They are 36cm cuddly dolls which are perfect for little girls of age 3 or 4 wanting a more grown up doll with hair. The vinyl used by Paola Reina for these dolls is high quality, soft to the touch and subtly scented with vanilla. The scent is sweet and not overpowering and uses actual vanilla extract rather than any nasty chemical perfumes. 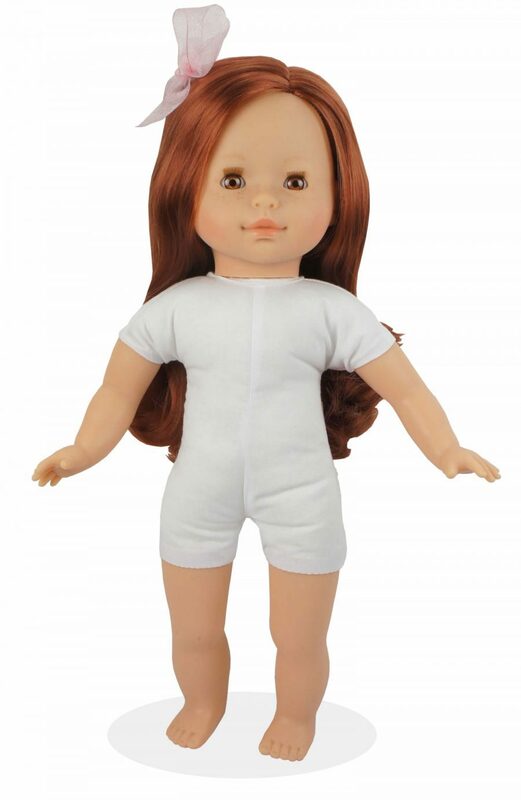 The dolls have white fabric bodies filled with new polyester fibre. 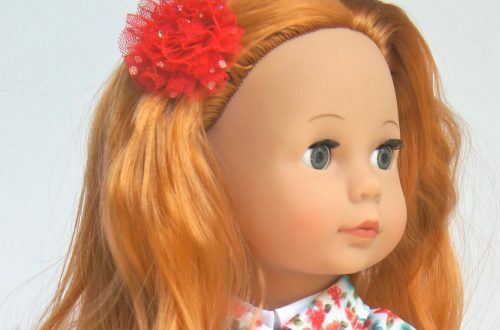 The doll’s hair is securely rooted and very good quality so will last a lifetime of brushing and playing. The dolls eyes close and have fibre eyelashes on the top eyelid. Should they need it, the dolls can also be handwashed in warm water using a mild detergent. 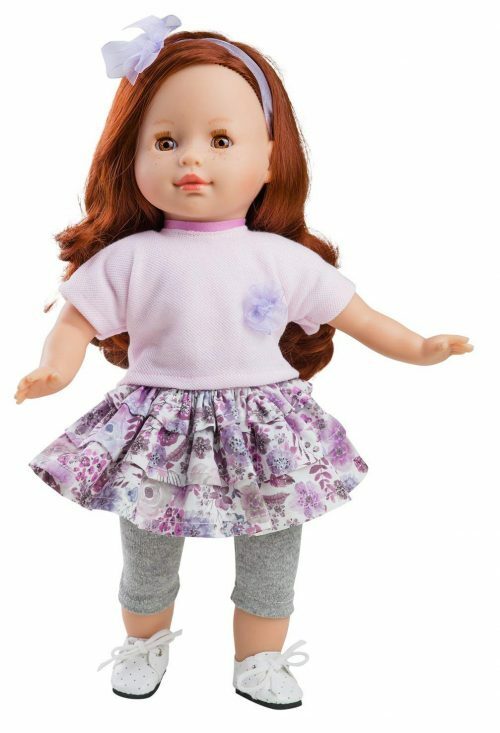 Paola Reina also make available the outfits and shoes that the range of dolls are dressed in (but I know these are difficult to find). The dolls are also identical in size to Corolle’s Ma Corolle dolls and can share those clothes too, and Corolle offer a really wide range of fashionable clothes and accessories. 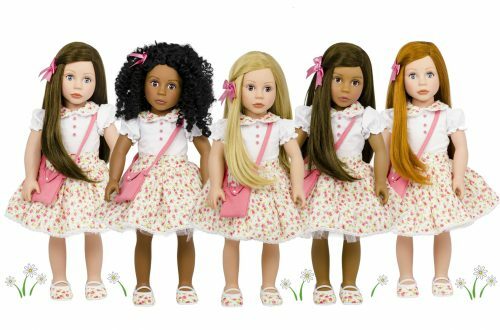 In the Las Blandita range you will find a blonde doll, one with red hair, a dark skinned doll with black hair and a brunette. They are available on Amazon but at crazy prices. You can also find them here at another UK based website. What I always used to love about Paola Reina toys when selling them at Petalina was the quality. We had just one problem in all the years of being a retailer and that was a shoe coming apart. The dolls are really well made and will last. Well worth the pennies spent in my opinion. Every couple of years the outfits of the dolls are freshened up and I have just found these photos of dolls that will be available soon.